To start off today's blog post, just a reminder as to what inspired me to blog about Gratitude for the whole of April. Grateful In April is why! Go visit the site and subscribe by email to get some great ideas of gratitude and how to live in the moment! In the meantime, I will get on with my post. When I say I am grateful for cooking, I don't just mean in general. I am grateful that I learnt to cook, properly. 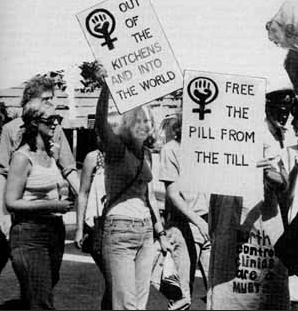 When I went to school, a long, long time ago, we did Home Economics (Sewing and Cooking) because that was all girls needed to know in the 70's. Little did we know our older sisters were marching in the streets. They didn't teach us that. Having said that, because it was deemed the only skills we would require in life, they taught us well. We learnt where foods come from, how they are grown, where they are grown, the seasons in which they are grown, how to choose fresh produce, techniques of cooking and all the basics that mean I can look at just about any recipe and make that meal. I can also prepare meals without a recipe due to having learnt what to put in to a base recipe and knowing which flavours compliment each other. I know how to make different types of pastry, I can make cakes, bread, damper, scones and of course many other delicacies etc. As I said, I can make just about anything. Except these. These I would have to buy! I know Miss Miller would be proud of me anyway. So, today, I am grateful that I can cook. How do you plan your meals, daily, monthly, weekly? Do you plan or are you a "whip it together" type person? Are you the cook or does someone else do it at your place? I know what you mean about the traditional female skills being a little redundant nowadays. I've noticed that no one sews anymore (and takes hems off to the tailor). I think boys and girls alike should still learn the basics of both as after all, they're life skills. The worms??? 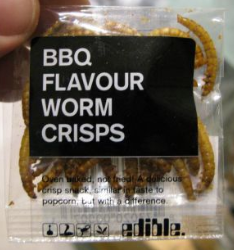 I can't imagine ANYONE eating them. If you follow the link under the photo, there is a whole website with weird and wonderful bugs ready packed in individual one serve sizes Lol. Yes, sewing was never my strength but I have a friend who has always been a beautiful sewer and even in early High School used to make many of her own clothes and still sews. That is the skill I didn't carry on sadly. I crochet squares and make blankets though!